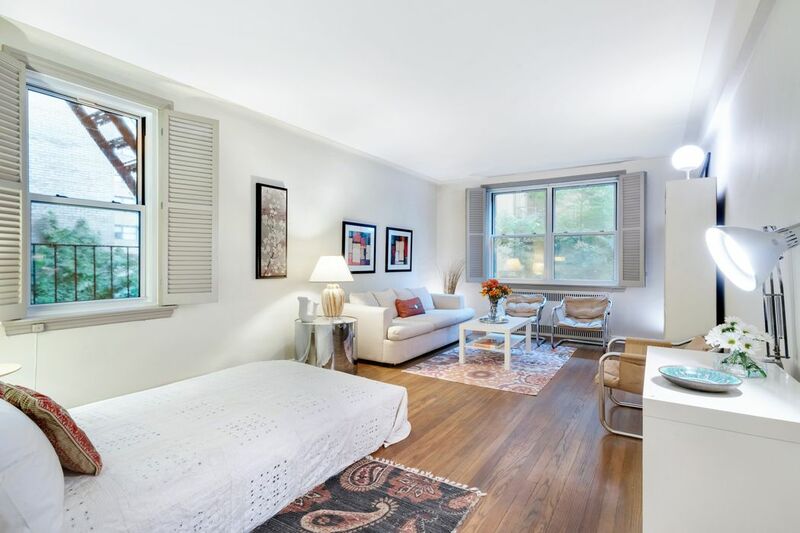 310 West 55th Street Apt 2B, New York, NY 10019 | Sotheby's International Realty, Inc.
2B or not to be: well, come see! 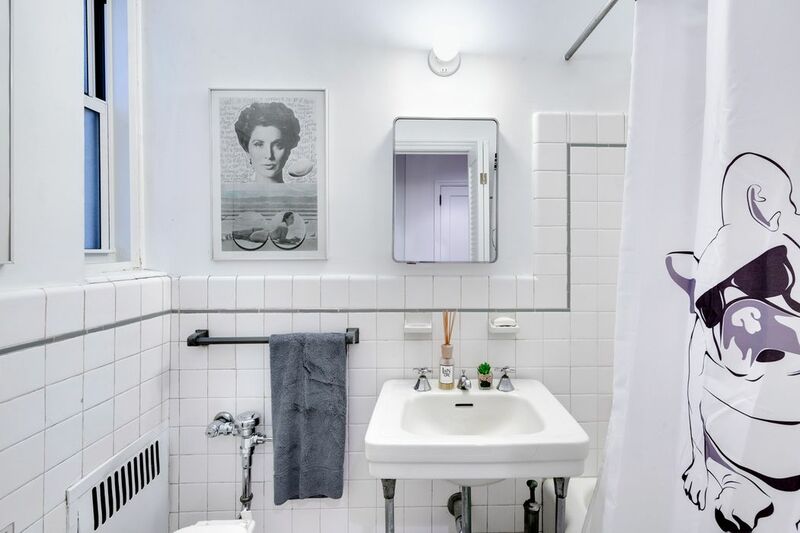 Entering this spacious pin-drop quiet pre-war studio, you immediately feel at home - and that you are in a much larger apartment! A gracious foyer with decorative archway leads you to the dining room and a second archway brings you to the south and east-facing living area with enough space and windows to easily convert into a one bedroom (see alternate floor plan). The living space offers tranquil views of gardens and trees to the south and east. 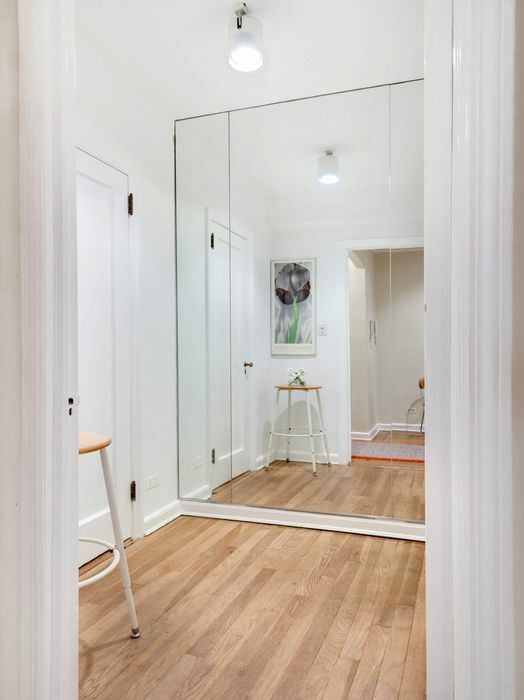 2B has beautiful original oak floors with inlay, high ceilings, abundant natural light, three large closets and a separate dressing room. Both the kitchen and bath are windowed. 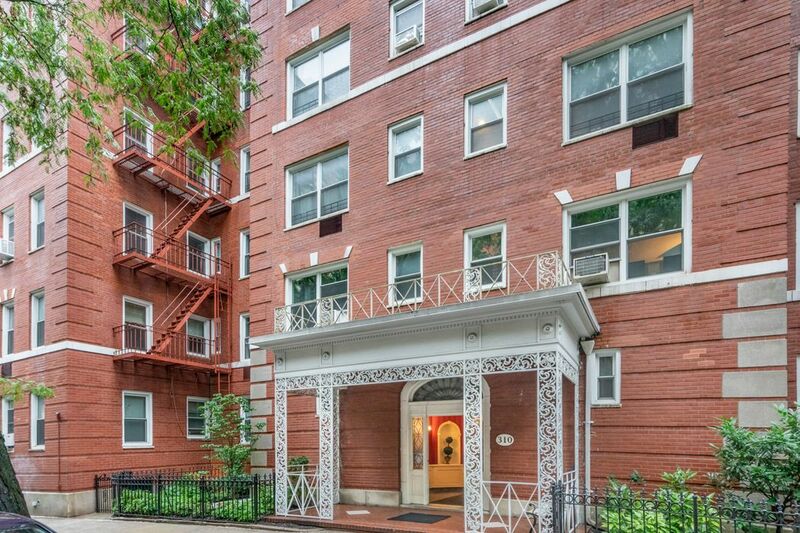 Conveniently situated on the second floor, you can take the stairs or one of the two elevators to the apartment. 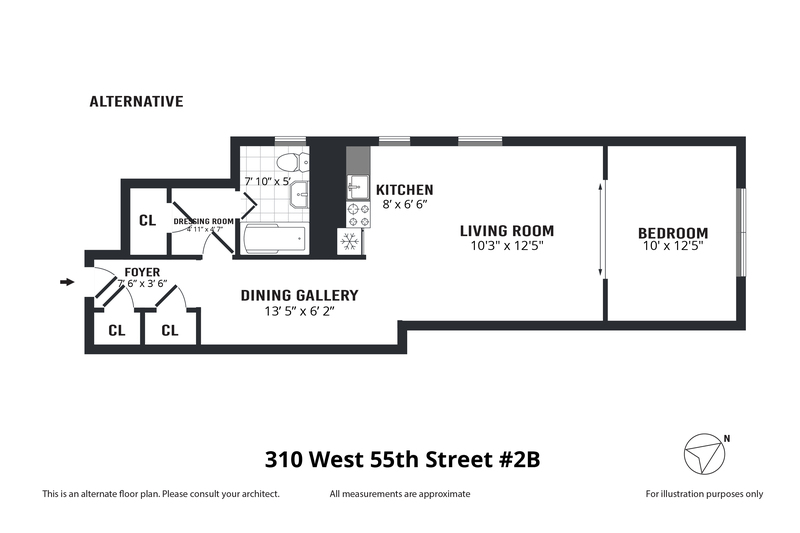 310 West 55th Street has the best doormen in the neighborhood along with a resident superintendent, shared courtyard, bicycle storage, storage cages (based on availability) and laundry room. Pets and pieds-a-terre permitted. Subletting is limited to 1 year. Parking garage (operated separately) is right next door, the Theater District, Central Park, Columbus Circle, Times Square, and subway lines are all within a few blocks. Fabulous shopping, grocery stores, restaurants and cafes abound. $57/month assessment for elevator modernization & Local Law 11. 2B or not to be: well, come see! 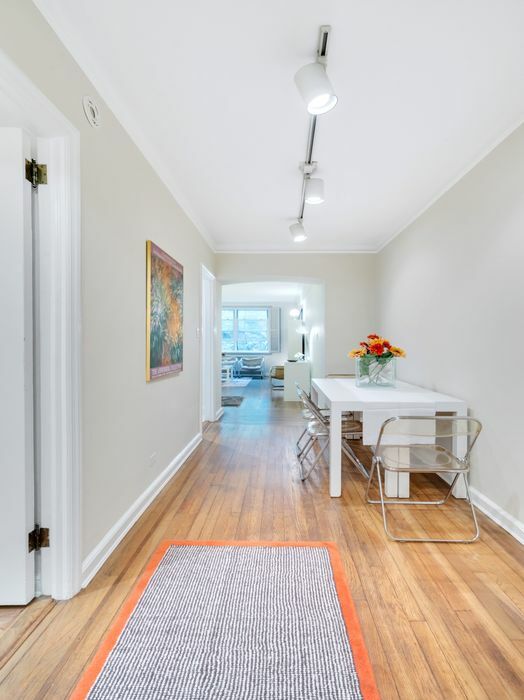 Entering this spacious pin-drop quiet pre-war studio, you immediately feel at home - and that you are in a much larger apartment! A gracious foyer with decorative archway leads you to the dining room and a second archway brings you to the south and east-facing living area with enough space and windows to easily convert into a one bedroom (see alternate floor plan). The living space offers tranquil views of gardens and trees to the south and east. 2B has beautiful original oak floors with inlay, high ceilings, abundant natural light, three large closets and a separate dressing room. 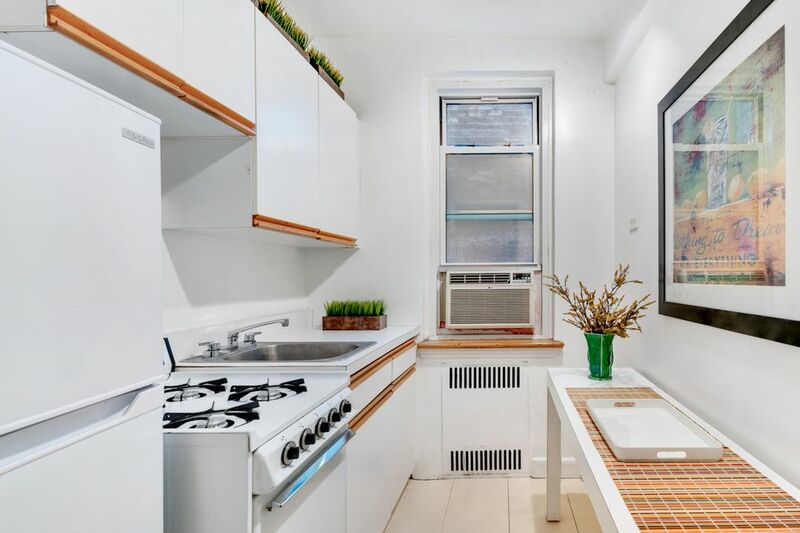 Both the kitchen and bath are windowed. 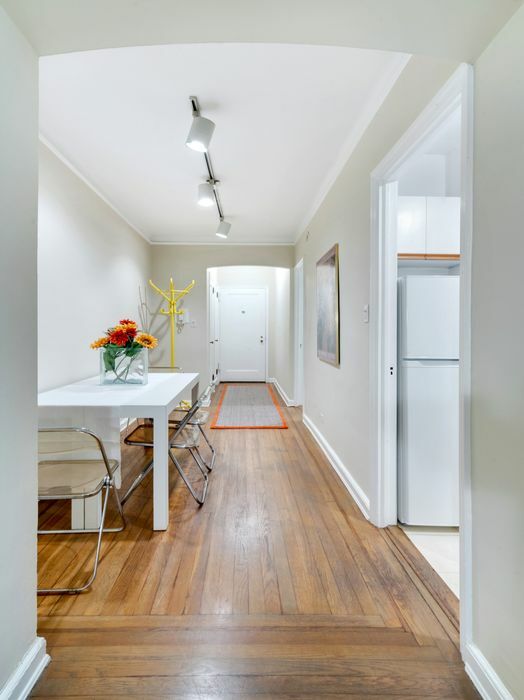 Conveniently situated on the second floor, you can take the stairs or one of the two elevators to the apartment. 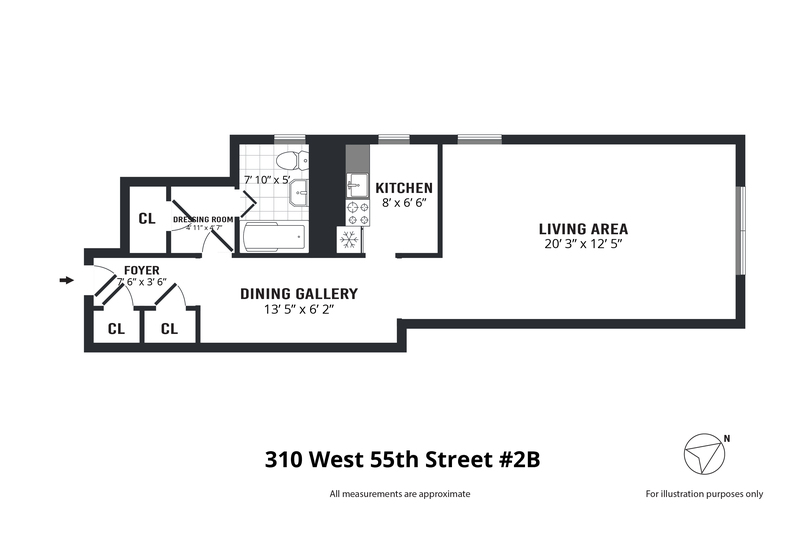 310 West 55th Street has the best doormen in the neighborhood along with a resident superintendent, shared courtyard, bicycle storage, storage cages (based on availability) and laundry room. Pets and pieds-a-terre permitted. 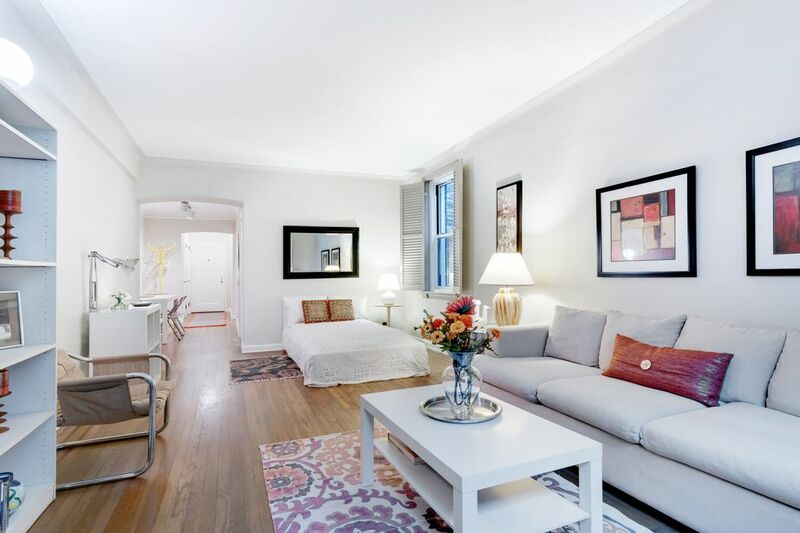 Subletting is limited to 1 year.Parking garage (operated separately) is right next door, the Theater District, Central Park, Columbus Circle, Times Square, and subway lines are all within a few blocks. Fabulous shopping, grocery stores, restaurants and cafes abound. $57/month assessment for elevator modernization & Local Law 11.